If you love to travel and are contemplating going to Japan on your next holiday, you have made the right choice. In Japan you will get the best of both worlds. It is full of culture and is well rooted in traditions yet extremely modern. Visiting Japan should actually be on the top of your ‘Places I must Visit’ list, if you are really passionate about travelling. The Land of the Rising Sun is the perfect holiday destination for people who love to explore new ethnicities. The history of the country is very rich and travellers interested in history will completely love Japan. The country is an amalgamation of antiquity and modernity. So, if you want to visit a place in the Orient which has both hills and the sea, your best bet will be a trip to Japan. However, as tourists we have many preconceived notions about certain countries. For example, the first time I thought of visiting Japan, I had made up my mind about the fact that I was going to have a language problem in the country, but the people of Japan, proved me wrong. Every tourist spot is full of tour guides who know both Japanese and English. So, if you want to go sightseeing, first get hold of a good guide, for they know the best places in Japan, which are truly worth a visit. The Japanese race is quite proud and some people might not be very welcoming but on the whole, the country is magnanimous. You might have trouble communicating at restaurants and small hotels, but with the help of sketches and hand gestures, you can overcome these small hitches. Japan is scattered with western influences; therefore a ‘westerner’ will not feel out of place in the country. They will find it easy to go about the country, buy supplies as almost everything is available in the country. To save money a tourist can purchase a Japan Rail pass. This pass will cover the entire Japanese Rail network but not the subway route in Tokyo. 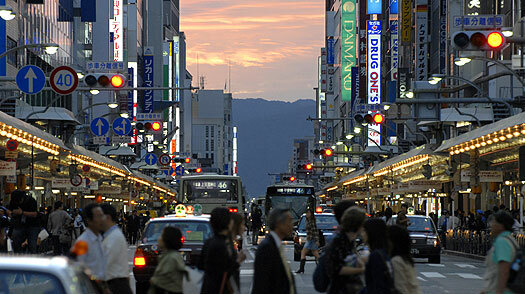 Japan is a “shopper’s paradise”. In the busy city of Kyoto, Shijo is a place where you can buy various things, both of Japanese and western origin. Tokyo is the Mecca of technology; therefore if you have to buy electronics, Tokyo is the place. 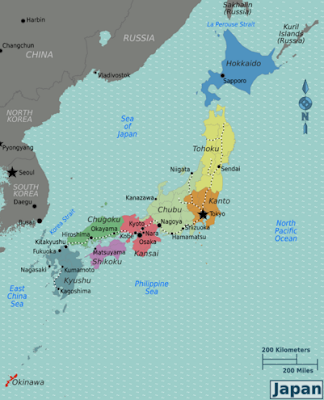 Before visiting the country consider reading a travel review about Japan and Japanese life style. This will help you understand the country and its people better. 'The Land of Rising Sun' in Rainy Season! Spring is the Season When Japan is in Full Glory!